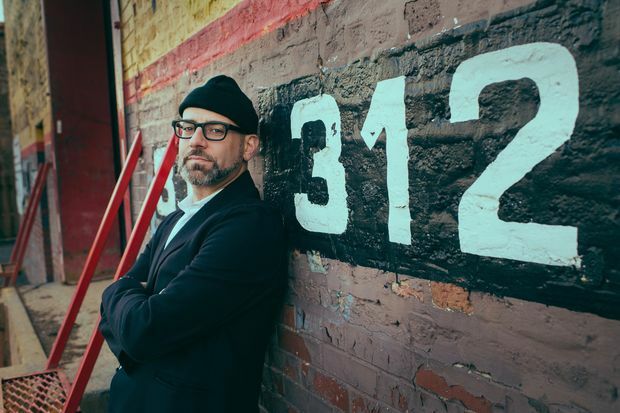 Kevin Coval's "A People's History of Chicago" includes 77 poems and a foreword from Chance the Rapper. 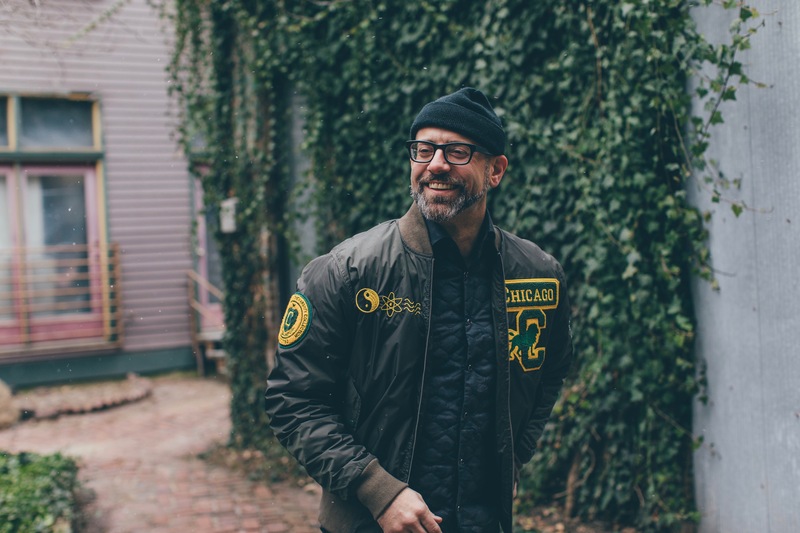 CHICAGO — Kevin Coval has performed multiple times on "Def Poetry Jam," founded the nation's largest youth poetry festival and taught hip-hop aesthetics to college kids. But his latest venture may be his most challenging: creating a book that gets Chicago kids excited to read about their history. "Part of what I was trying to do was write an English book that would be engaging," Coval said of his new collection of poems entitled, "A People's History of Chicago." The feat is impressive not because students don't enjoy the subject, but because textbooks rarely tell the whole story, said the Avondale resident. "I didn’t like history, or English really for that matter when I was in high school, but I got interested in those subjects because of hip-hop. Essentially, hip-hop sent me to the library to read history books that I found in the stacks that weren’t used in my classroom," Coval said. The book, which features 77 poems and a foreword by former student Chance the Rapper, begins in Chicago when it was inhabited by Native Americans and ends last fall just after the Chicago Cubs won the World Series. Using the rhythm of hip-hop, the collection quickly retells history through the voices of the working class and expands beyond the usual talking points of a history class. "It’s unique in a sense that it’s a history book that reads as prose in contemporary language. The idea is even though it is starting before 1492, even that poem itself is not written in a way that puts the contemporary reader at a distance, but immediately engages them even in the context of their own experiences," he said. It's more than a "history book," though, as the smooth-talking Coval steers the tour through dark alleys of the city and injects his own intimate memories. "I have some personal poems in the book, but a lot of it is me as a historian, as a researcher, as a thinker, someone who considers himself to be a Chicago centrist and is trying to really put on for the city — from what I hold dear about it and what I think is highly problematic about it," he said. In the book, Coval attempts to "emulate" two authors from his youth: Lerone Bennett Jr., who wrote "Before the Mayflower: A History of Black America" and Howard Zinn, who wrote: "A People's History of The United States." Kim Hendren, a Republican member of the Arkansas House of Representatives, has introduced a bill to ban Zinn's material in public schools across the state. "If history is the tale of the victors, [those books] began to tell the story of the underdog, the story of the worker, the story of the people of color who have been systematically been denied access to this larger narrative," Coval said. Coval, who began writing as a student at Glenbrook North High School in suburban Northbrook, isn't your average lyricist. He thought he would become a rapper or a hip-hop artist, but eventually found his words were more potent in spoken word. "I thought I was writing rhyme, and at some point I got on an open mic and somebody said they liked my poem. ... I think I might have felt some type of way about it," he said. But "I started to read poems that I liked in high school, [and] KRS-One called himself a poet, so all of those things helped." In 2001, Coval and Anna West, of Young Chicago Authors, founded Louder Than A Bomb, a youth poetry festival that has grown to become the biggest in the nation. From 2002 to 2007, he performed four times on HBO's "Def Poetry Jam," which has featured spoken-word performances from KRS-One, Kanye West, Dave Chappelle and Erykah Badu. While the festival and Young Chicago Authors are filled with young black and brown children discussing their stories and identity, Coval has never felt out of place, he said. "This is who I am. This is the work that I do. I’ve been doing it for a long time," he said. "I think white people have to do the work of deconstructing the conditions that ensure white supremacy continues. I think that all of us have to do that work. If we believe in justice, if we believe in movement, if we believe in the ability to make our city better, then it's going to take everybody." Quoting fellow poet Mahogany L. Browne, Coval said he aims to be an accomplice of people of color instead of an ally. "I see myself as someone who is dedicated for a long time, my life, to this notion of creating a more equitable and just space for all people. I think its no surprise to anybody that I’m white, and its no surprise then whose feathers that ruffles sometimes," he said. The book is "deeply connected" to his work with both Young Chicago Authors and Louder Than A Bomb. In fact, the Lannan Foundation is going to give every student in the festival a book, Coval said. There are more than 90 events and 1,200 participants at this year's festival, currently underway. Between Young Chicago Authors and the festival, Coval will come in contact with more than 10,000 students, he estimated. For the book tour, the plan includes doing readings "in the schools that we work with and at least one reading in every neighborhood in the city. Atlanta is also working with us to get every teacher in CPS high school English and history teacher a book as well," he said. The tour, which includes 180 readings in a year, kicked off Saturday, the day the City of Chicago was incorporated. Coval was greeted by a line stretching around the Harold Washington Library when he arrived. "The plan is to go from March 4, 2017 to March 4, 2018 with these readings. I’m open to wherever. I want to read in barber shops, community bookstores and community centers in high schools, breakfast spots and wherever," he said, adding that he wants to be in places where he can "hear people and hear what’s on people’s minds." The tour, which will include writing workshops, will help Coval continue the work of Studs Terkel by trying to analyze all of this "two-faced city" and talking to people to "hear the stories I have no idea about," he said. "That’s one of the things I really love about this city and love about the people of this city. Pretty much everyone is like a walking oral historian. I love those stories, he said. "I know the city pretty well ... but it's so big you can’t really know all of it. To be able to take a year, very intentionally, to be able to see as much of it as you can, I’m really looking forward to it." The book is currently 50 percent off and available here. It's official publish date is April 11.